Outside the utopian bubble of Tahrir square, petty dictators are filling the security void. 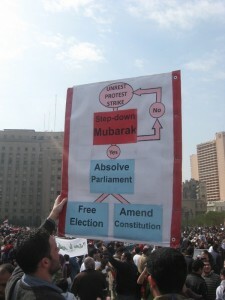 Over the past two weeks, since the night of Friday 28 January, the ‘Friday of Rage’, the protesters occupying Tahrir square have turned it into a little utopia, a world unto itself where people shed their differences and became united behind one goal: bringing an end to Mubarak’s oppressive rule. Everything else is irrelevant. The social problems that have plagued Egypt for years seem to have dissolved in the solidarity and egalitarianism that have become the defining characteristic of the community of peaceful protesters in Tahrir. Class distinctions have faded, religious and social tensions have disappeared. There is virtually no sexual harassment. No one feels superior to anyone else, and no one feels disenfranchised. That is what it feels like in Tahrir every day, but the streets outside Tahrir were becoming increasingly dangerous. On Wednesday 2 February, when Mubarak unleashed thugs mounted on horses and camels in a violent attempt to take back Tahrir square, and as the events of the day unfolded, it became clear to us that we were not just battling Mubarak, we were fighting against a security apparatus that is still alive and kicking despite the humiliating defeat of Friday 28 January, and that had a chance to regroup and launch another assault. We were fighting against those who were still willing to attack pro-democracy protesters with knives and sticks and Molotov cocktails in return for 50 pounds and a meal; we were also fighting against many ordinary Egyptian citizens who were easily manipulated by state TV’s message that it is actually the protesters – and not Mubarak’s arrogance – who were destroying Egypt’s economy. We managed to hold Tahrir square on Wednesday against waves of attacks by hired thugs. At the end of the day, we were joking about how the square is now ready to declare independence and become the Free Republic of Tahrir. We have our own minister of interior who planned defence strategies against the attacks that were coming from all entrances to the square. We have community mobilisers bellowing into microphones, directing people towards the areas that were close to being overwhelmed by the forces of thuggery and trying to keep up morale. We have doctors and paramedics who set up medical units at several points between the centre of the square and the ‘frontline’. We also have volunteers going out to bring food, water and medical supplies. And the atmosphere of solidarity has not changed. 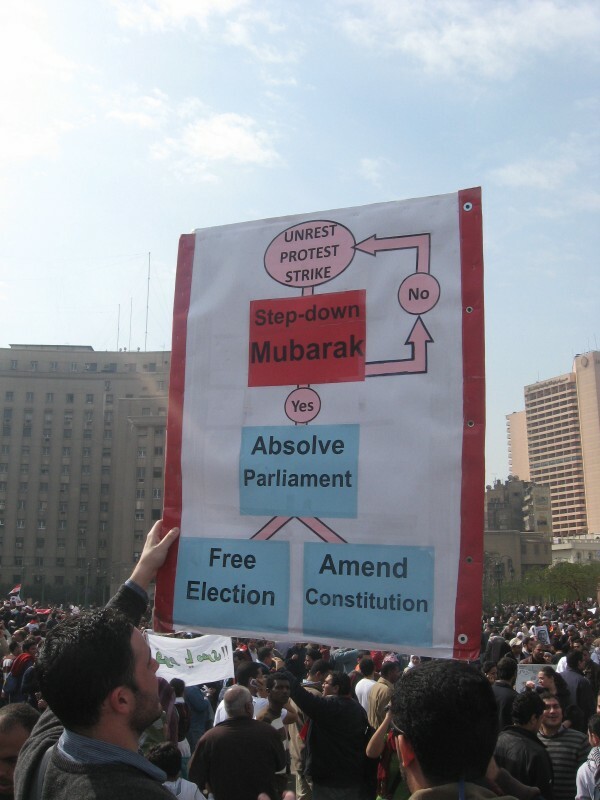 But outside Tahrir chaos reigned and the atmosphere was depressing during the second week of protests. On Tuesday and Wednesday morning, after Mubarak’s second speech, we were being sworn at and attacked by ordinary citizens who were fed up with the standstill that the county has come to, oblivious to the fact that Mubarak is forcing this standstill on the country – effectively holding the county and its population hostage – until the protesters give in. This attitude changed slightly, after the independent press showed images of the “Battle of Tahrir”. The majority of those who were decrying Egypt’s lost stability and who were appeased by Mubarak’s Tuesday speech changed their minds, or at least were forced into shameful silence. But the opinions of those people and the attitudes of many other Egyptians made me realise that we had become complacent when we thought that Egypt in its entirety is supporting us. It goes without saying that many changes are needed in Egypt before we can achieve real democracy. Egypt does not just have one dictator, but many little dictators whom you can see every day on the streets, such as the vigilantes who, during the week when most state institutions ceased to exist, were thoroughly enjoying the new task assigned to them by the absence of police: terrorising Egyptian citizens who dare to waltz into their neighbourhoods, especially the more affluent ones. And the attitudes of the institutions like the police and military will not change overnight; it will take a very long time. One of my friends who lives in the upper-class neighbourhood of Zamalek, and who walks back to Zamalek from Tahrir every night during the curfew hours, was telling me about the modus operandi of those on “Neighbourhood Watch”: anyone who does not look sufficiently upper-class is not allowed in. The vigilantes walk around with dogs and are armed to the teeth with clubs and knives and even shotguns. They are enjoying their power trip, and their machismo is aroused by the thought that they are protecting their women’s chastity while they make them tea and cookies to help them stay out on the streets for hours on end. In the wee hours of the night, they get in their cars, drive out to the adjacent poor neighbourhoods of Imbaba and Boulaq and arrest anyone whom they think looks suspicious. Class distinctions, entirely absent in Tahrir square, have never been more accentuated in the other neighbourhoods of Cairo. This is the defence strategy of Mubarak and whoever is left of his cronies, to increase social and political divisions between the people of Egypt. On Thursday 3 February, I was walking with two of my friends and a foreign female journalist towards Garden City, an upper-class neighbourhood just outside Tahrir Square. We were stopped by a band of residents on neighbourhood watch, who were displaying their colourful array of weapons and dressed in extremely ostentatious, home-designed combat gear. One of them went so far as to wear a Kevlar vest. They refused to let us in, and reported the presence of a “female foreigner” to the military police, which the military police found problematic in many respects. The regime has recently resorted to extremely desperate measures, and was now spreading xenophobic fear and arresting foreign journalists as collaborators and instigators. They arrested us on the charge of breaking the curfew, and then they found photos of tanks and armoured vehicles from Tahrir on my camera and decided to up the ante against us. We were detained at the military police checkpoint, where the officers were sipping tea with another group of Garden City vigilantes. The vigilantes entered into arguments with us about the protests. They regurgitated the same line that I had heard from people in my neighbourhood, Heliopolis, who did not care that Egyptians were being attacked with tear gas and live ammunition, that 300 of their fellow citizens were killed over the past week by Mubarak’s regime, but whose only concern was that their home supply of imported dog food was running short and their weekends had become monotonous. The military police officers felt the same way. We stood aside and waited for their commander to make a decision about us. I started chatting with one of the conscripted soldiers. I asked him not to believe the lies that were being spread about protesters, I told him that those people, those hating residents of Garden City, are the only beneficiaries of Mubarak’s rule, that their only concern is protecting their vast wealth, and that people like me and him are the ordinary citizens who fuelled the revolution. In very hushed tones, he acknowledged that what I said was correct, and expressed timid support for us. We were transferred to a military checkpoint close to another one of Tahrir’s exits. After a brief interrogation by an intelligence officer and a thorough search by the military, they found some curious items in my backpack, which, along with everything else, led to them to believe that my friends and I were probably foreign spies. We stayed all night at the checkpoint, waiting to be transported to military intelligence for further interrogation. 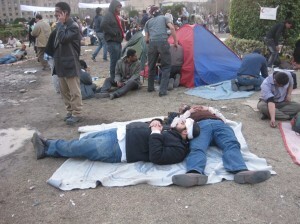 Hordes of people were brought in during the curfew hours, most of them looking incredibly destitute. Some had no IDs on them, some were drugged vagabonds, but others were going to or coming from Tahrir and were mainly arrested for looking poor. While they were being interrogated only one of them dared to say, after some hesitation, that he was going to Tahrir to join the protesters. “Why?” asked one of the officers. He answered, in Basilect Egyptian Arabic, that he wanted freedom. The officers laughed and asked him to define freedom. “Freedom is when police officers respect me on the street,” he offered. The laughter in response was even louder. I felt a sudden sense of despair; I thought that all that we had been fighting for and that we thought we had achieved has been lost. The vigilantes, or popular committees as they like to style themselves, who received orders from uniformed police and from the military, were taking an active part in the arrest of suspicious people – and suspicious, to them, meant anyone who looked impoverished. Those derelicts received a different treatment. They were tied and occasionally beaten by one of the more power-hungry officers, though the army still treated them better than the police ever would have. They were given food and water, and allowed to use the bathroom when they asked for it. The officers were middle class and well educated, and they engaged us in political debate. The company commander was rather eloquent, but was also completely brainwashed into believing in the conspiracy theory that the unrest was being instigated and sustained by foreign forces. The Egyptian regime weaved one of the wildest conspiracy theories that I have ever heard of: an uncanny collaboration between the USA, Israel, Iran, Pakistan, Afghanistan, Hamas, the Muslim Brotherhood, as well as several fast-food chains was behind the protests. The officers tried arguing with us and convincing us that an array of foreign “elements” was controlling us and supplying us with food and money. They seemed oblivious to the fact that the Kevlar vests they wore and the tanks they manned were made in the United States, or funded by its military aid to Mubarak’s regime. I heard an officer speaking on the phone saying “You caught an Afghan at the end of the street? Bring him here.” I shook my head in disbelief. I was surprised at how blighted they were despite being relatively well educated. It was also clear to me that most of the military were loyal to Mubarak and harboured some antipathy towards the pro-democracy protesters. The officers uncuffed my friends and I – the more privileged group of detainees – and allowed us to sit outside under the guard of a few conscripted soldiers. The conscripts were not very different from the ones I spoke to at the military police checkpoint: they all belonged to Egypt’s most oppressed classes. The army officers manning the checkpoint were turning away anyone trying to enter Tahrir, one of them told me that they would be very strict that Friday – the Friday of Departure. In the early hours of the morning three American embassy cars, followed by the very familiar white van carrying their protection force composed of US marine officers, arrived at the checkpoint, probably heading towards the US embassy which is nearby. The army, naturally, let them pass without a word. An officer told them that this route is blocked and that it was better for them to take an alternative route. They did that and returned five minutes later. An embassy car accidentally ran over one of the checkpoint’s barricades. The car did not stop, and the soldiers quietly put up the barricade again. I wondered, how could those army officers actually believe that the United States had any interest in overthrowing Mubarak when they have just seen a very tangible example of US arrogance in Egypt that the Mubarak regime nurtured for three decades. While we were waiting, a number of ambulances drove down the road and parked just outside Tahrir. Amongst them was a mega-ambulance that could apparently accommodate 19 people. I asked one of the officers, “What are you guys going to do to us today?” He chuckled and said, “Don’t worry, these ambulances are for our soldiers.” After a while, we were interrogated again, this time by the intelligence bureau and military intelligence. For that, we had to be blindfolded. Our hands were tied behind our backs and we were made to sit on our knees. We remained in this position for one or two hours. The interrogation was on and off, and the army officers engaged us in chatter in between. Then one officer, presumably from military intelligence, walked in and sent orders to put us into a car. We were escorted outside, where we stood for a few minutes, blindfolded and palpitating with fear of what was awaiting us. The conscripts who were guarding us earlier tried to comfort us. “ ‘A’ , give me an update”, my friend, standing behind me in line, asked one of the conscripts whose name I will withhold. “Don’t worry,” said A, “you’ll be fine, just don’t argue with them too much”. “Pray for us, A,” I said. The officer was bellowing into a microphone as if he was preparing his troops for the invasion of Poland. We were put into a van that drove off, only to stop 10 minutes later to pick up more people. The van was really crowded at that point; we were stacked on top of each other. My head was tilted backwards in an uncomfortable position, and someone’s face was thrust into the right side of mine. For the entire duration of the trip, I could hear him incessantly praying in hushed, fearful tones. After a while, the car stopped. My friends and I were named and told to get out of the car. 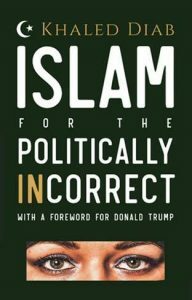 The blindfolds were removed and we found ourselves on one of Cairo main arteries, surrounded by three heavyset officers wearing black Kevlar vests and carrying shotguns. We assumed they were military intelligence, mostly because they returned our belongings and our money, something which the police or state security would never do. “We can tell that you guys are good, educated citizens. We don’t think that what you are doing is entirely wrong, but we don’t think it’s entirely right either. Just be careful and think clearly about what you are doing. Good luck.” They saw us off with these words. Once again, our protected status as upper-middle class people with “respectable” jobs saved us, while the poor derelicts that were detained with us were taken to an unknown fate. We were all very tired, disoriented and the mood was despondent and pessimistic. But we called our friends who told us that in Tahrir the crowd of protesters coming for “Departure Friday” had already crossed the million mark. A little bit of optimism seeped into our souls. We are holding our ground, and the thugs and vigilantes were slowly disappearing from the streets of Cairo as life outside Tahrir returned to its normal pace. But even if we manage to depose Mubarak, the forces of oppression are still with us. We still have to fight the battle against the little dictators who are everywhere in Egypt, amongst the ranks of ordinary citizens, against class divisions and social attitudes, against disguised ignorance and half-educated, self-righteous individuals like the ones who assumed the role of the police and who managed to surpass the cruelty of their predecessors. This one is going to be a painfully long battle, but it can only begin with regime change.